La Dôle - a beautiful tour in the Jura Mountains - Life is a lucky bag! 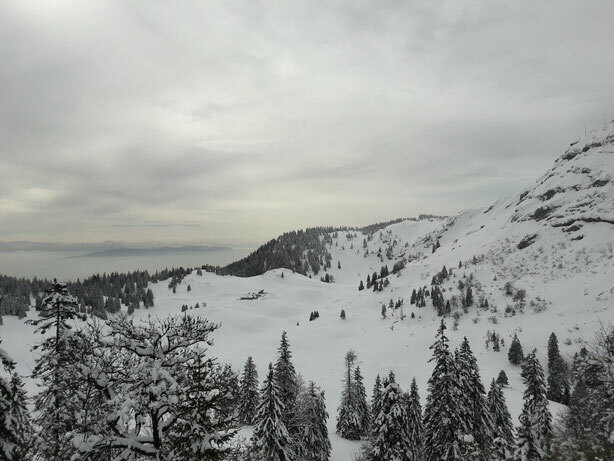 The mountain "La Dôle" is one of the most iconic summits in the Swiss Jura Mountains. Not because of the shape of the mountain itself, but because of the big white bubble on top of it. This is a meteorological station which can be seen from far away. Although there is a cable car going up to La Dôle you can hike it as well - a beautiful but not too easy hike through the forest and the Jura Mountains. 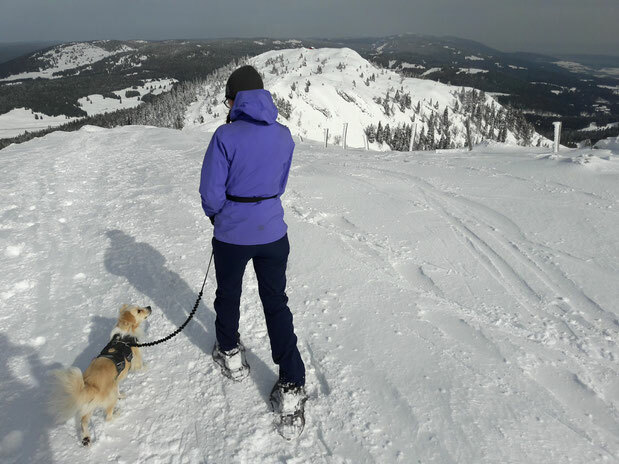 There are ski slopes on top of La Dôle, so if your dog is like Ioma and loves to chase skiers, better take him close to you in the summit area! As soon as there is snow on this trail, I highly recommend to bring your snowshoes! It is sometimes difficult to find the trail (especially in the section a few minutes before you reach the actual summit), so you will really need your snowshoes to manage getting through the last forest section! This trail starts at L'Archette, where you can park your car. The irst acent is very smooth, while you are following the trail towards Route du Vuarne. 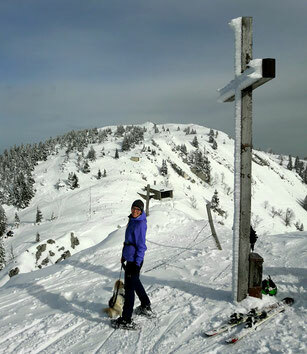 You will reach the first higher point Le Vuarne (1319m) after around 30 minutes hiking. From this point onwards the hike starts to be much more challenging when heading towards Col du Vuarne and afterwards to Col de Porte. This ascent is difficult, as it's a lot steeper and goes along the hillside. You will have to make sure your feet are very stable in your boots, otherwise you might bend over. The trail is not perfectly marked in all the sections, so it is very useful to download the GPS track and bring a map on your hike! As soon as you reach Col de Porte, the trail is a lot easier to find. Follow along the ridge and come across the first little cross on the lower summit. Now it's only a couple of more meters to go along the rim (can be very windy) to the top of La Dôle. You can use the same trail to come back - the self-catering cabin is located a few minutes behind the Col de Porte on the left side of the trail. Total hiking time for this trail is about 4 hours (including a short break).